Commander's Glorious is a daughter of Columbia River's Commander, a PPeruvian Caligula son and Rosa Bailarin, who was sired by PCA Accoyo Chimborazzo, a son of PPeruvian Camilio! Glorious received her name by the quality of her fiber. 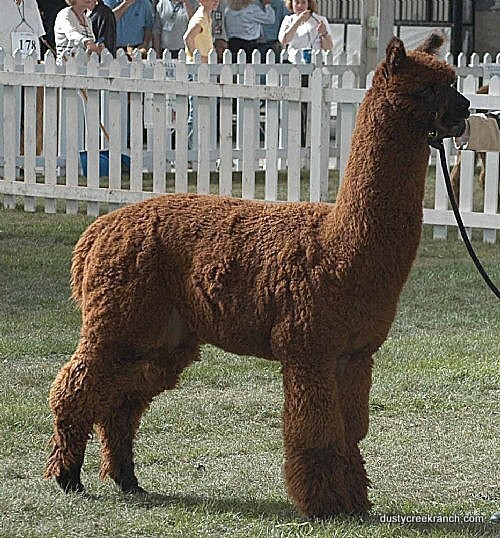 Her owner at birth, Irene Fuller, of Moon Dancing Alpacas, saw that wonderful dense, crimpy fleece and gave her the name Glorious. 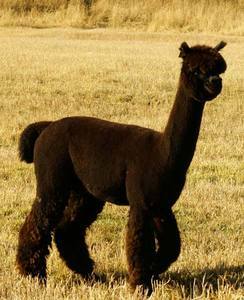 Estates Gracious' sire is Snowmass Andean Midnight is our dynamite true black male with extreme fineness. 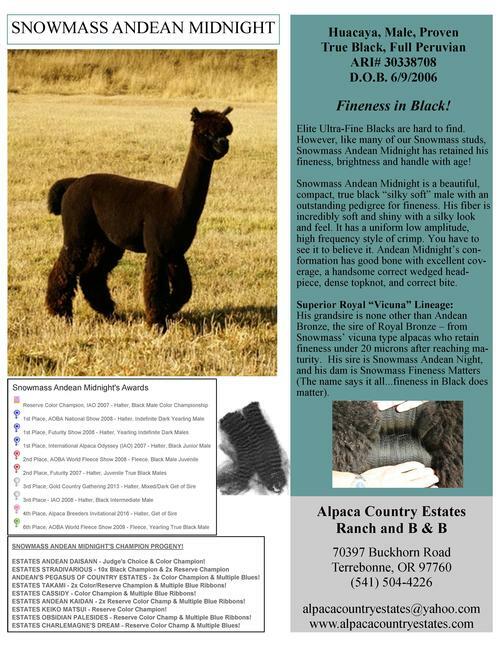 His grandsire is none other than Andean Bronze, the sire of Royal Bronze - from Snowmass' vicuna type alpaca retaining fineness under 20 microns after reaching maturity. 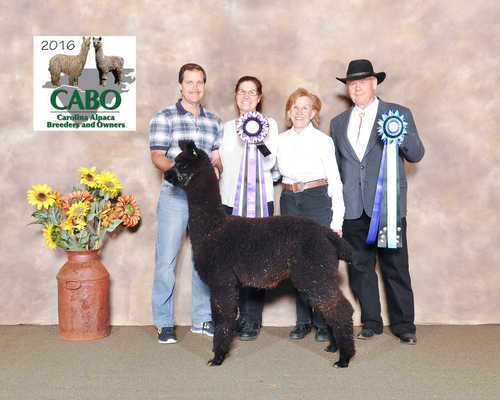 Her dam,Commander's Glorious is a daughter of Columbia River's Commander, a PPeruvian Caligula son and Rosa Bailarin, who was sired by PCA Accoyo Chimborazzo, a son of PPeruvian Camilio! Glorious received her name by the quality of her fiber, and fortunately has passed this marvelous crimp along to her daughter! 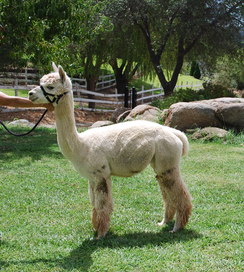 Estates Gracious gave us a lovely TB female cria sired by our Patagonia's Enzo (aka "Mr. Density"), on 7/18/2015.